The number of people affected by various forms of Dementia is skyrocketing every day. While physical and emotional problems are often experienced, difficulties with short-term memory are especially prevalent. This picture book was created to help caregivers connect with a friend or family member experiencing Alzheimer’s. The lovely illustrations, poetry, and discussion questions will set the stage for meaningful conversation. The first in a series, I Remember the Seasons will spark welcoming memories of times gone by. Its pages are sure to be enjoyed in fresh, new ways each time it is opened. Building snowmen…going for hayrides…raking leaves. These are just a few of the pages in I Remember the Seasons that will bring fond memories to life for those affected by Alzheimer’s. I Remember the Seasons is a simple and effective picture book containing lovely illustrations by Janis Cox. Poetry, and discussion questions will set the stage for meaningful conversations between people with Alzheimer’s and their caregivers. Reliving pleasant times from their distant past serves as a bridge between today’s experiences and memories of days gone by. 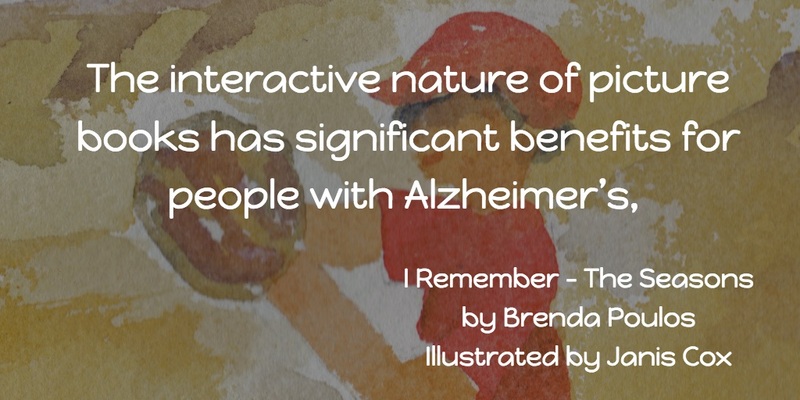 The interactive nature of picture books has significant benefits for people with Alzheimer’s, such as helping the brain retain neurological connections, prompting the person to maintain focus and attention span, as well as language retention. Listening to words and looking at pictures, along with touching and turning pages, provide a much-needed multi-sensory experience. 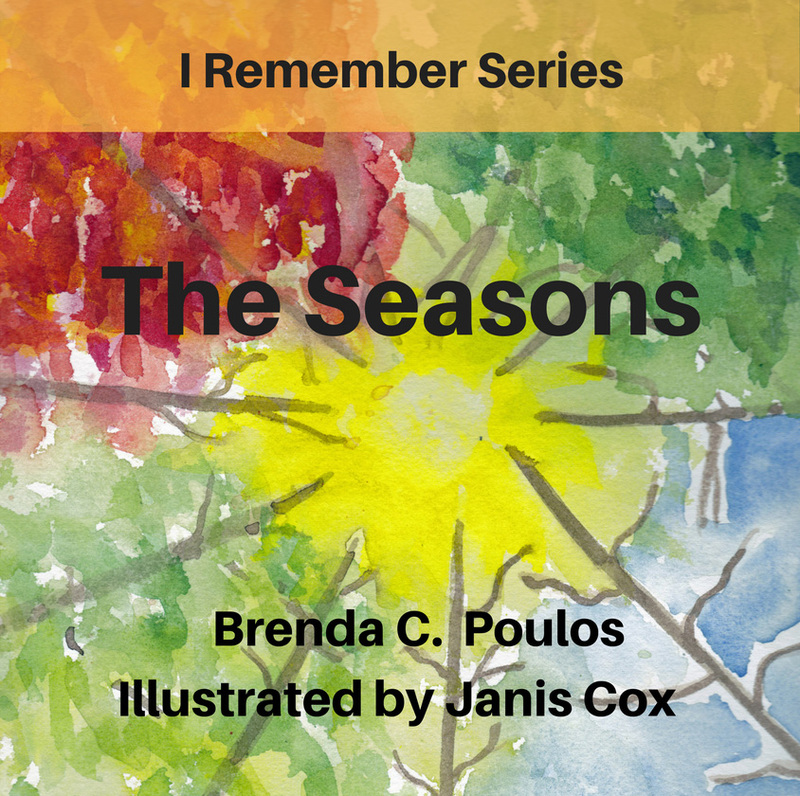 The first in the series of picture books created for individuals with Alzheimer’s by Brenda Poulos, I Remember the Seasons will be sure to spark welcoming memories of times gone by.